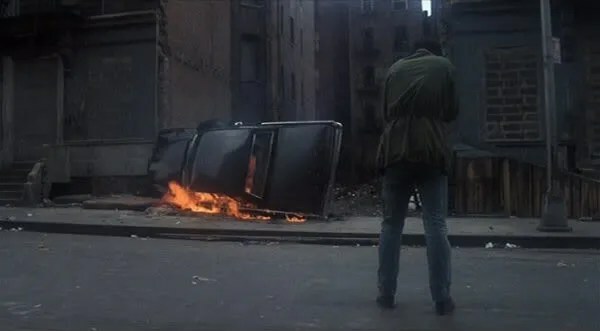 Across 110th Street is a tough, violent cop thriller that some regard as a part of the blackploitation movement that was popular during this period. It also takes a nod or two from the liberal attitude to police work that seemed to come from Dirty Harry. It is a film that has been grossly ignored over the years except for the brilliant theme tune, which has kept it in the memory of some. A seedy room in Harlem and a group of men are counting $300,000 when they are ambushed by two men dressed as cops. The gang are instantly killed and along with a getaway driver, two other cops are murdered during the escape. This sends alarm bells to the mob, for which the money belonged and although they don’t care about the cash, they do want to send a message out that no one can just bust in and kill. So Nick D’Salvio is sent to find the thieves. Meanwhile, racist street cop Capt. Mattelli is brought on the case but forced to work under black detective Lt. Pope. Both men have very different ways of working, Pope is quiet and calculating while Mattelli goes in for the kill every time. They must find the three culprits before the mob get their hands on them. It does have the feel of a 70s TV detective story, a straight-forward heist with the cops putting the clues together while the mob seem to be one step ahead. The only difference between this and, say, an episode of Kojak, is the attitude. This is brutal and verbally vicious. It works in its favour as it gives the film a raw edge. The energy that is pouring out of this film makes you feel exhausted. There are the odd moments when it does get a little out of hand and comes across as amateurish but it’s only in the odd place. What it does offer apart from a tough cop thriller, is a voice about racism. There would be no way this film could be made nowadays as the language and derogatory comments would be looked upon as unacceptable but even if the verbal attacks are shocking, it still has an opinion that this is not the way to go. The partnership of Mattelli and Pope is a perfect example. Even though Mattelli is a racist cop, he still relies on his partner and Pope is willing to ignore his brutality for the sake of the job. The performances, on the whole, are good. Anthony Franciosa, who normally would turn up in Z-grade rip-offs, is very believable as the tough Mafia boss, D’Salvio. 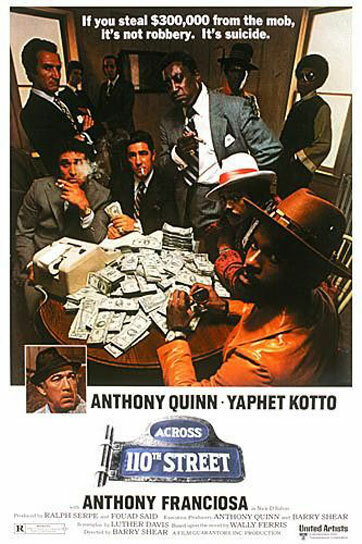 Yaphet Kotto, always a strong yet underrated actor, is quietly subtle as the thoughtful Pope, while Anthony Quinn steals the film in a role that you wouldn’t expect to see him play, as the hard-nosed Mattelli. It’s a no-nonsense, no thrills performance and one of his best. This is a perfect example of 70s film making. It zips along with a cracking soundtrack and that classic song by Bobby Womack as well as keeping action fans happy, it adds the realism of living in the ghettos by the location shots. So it’s politics can be a little dubious but on the whole this is a pretty decent cop thriller that is gripping and exciting. It also has one of those classic 70s endings when you think everything is done and dusted, it has a shock up its sleeve that you never see coming.